Embroidery is a big trend right now, everything from sweaters, to shoes, to purses, you can find it everywhere. I had never embroidered before but thought it would be fun to test it out. Customized sweaters? Yes please! 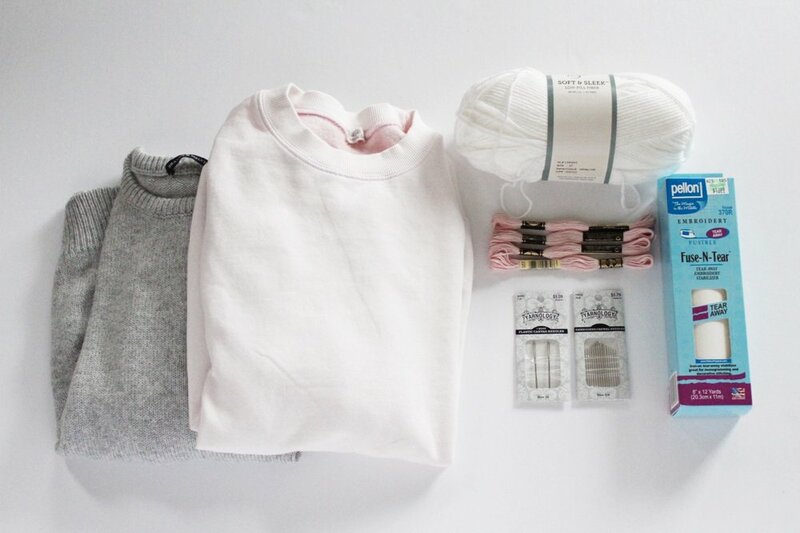 You'll need a sweater (I purchased mine from Brandy Melville), embroidery string or yarn (I tested out both, the thinner string on the sweatshirt, and the yarn on the sweater), embroidery backing, and needles. 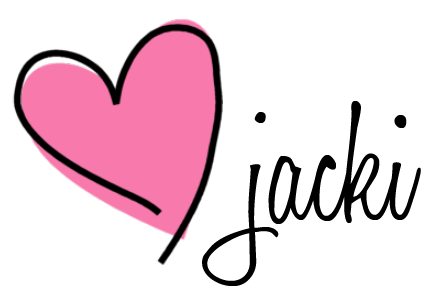 First step, make a word document with the saying/font that you like and print it directly onto the embroidery backing paper. 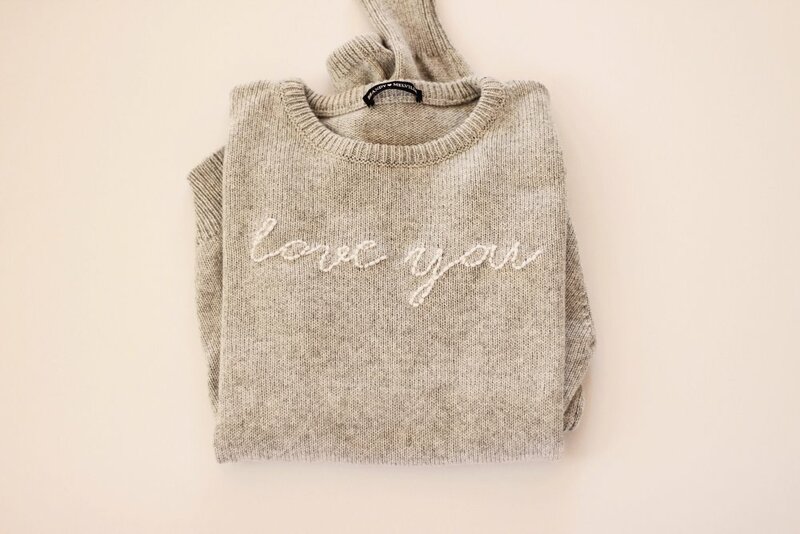 Next, cut out the saying and iron it directly onto your sweater. From there you embroider right over the lettering (YouTube "How to embroider letters" and you get lots of great tutorials! ), then gently pull the backing off when you are done. 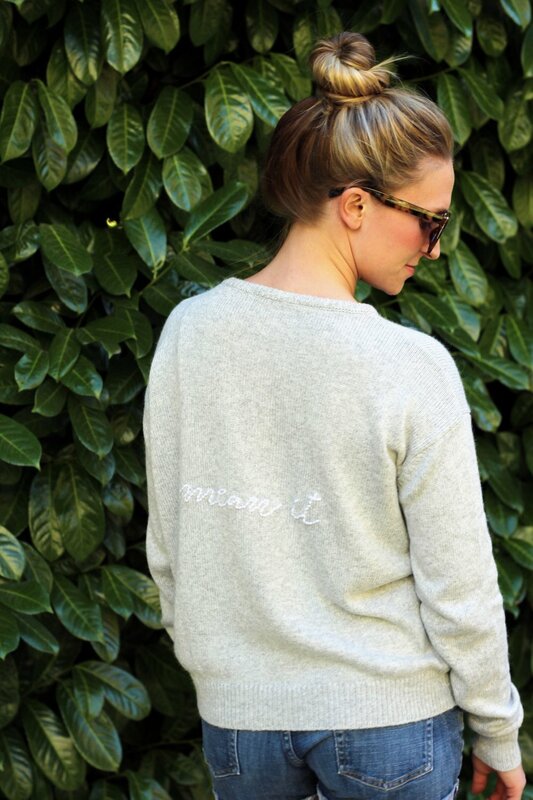 I went with "married af" on the sweatshirt and "love you, mean it" on the sweater. I chose white yarn for both because I wanted the text to be subtle but there are dozens of color options so you can definitely make them stick out more. They turned out better than I anticipated and I love that you can customize it for anything: champagne campaign, mimosas and coffee, future mrs, the options are endless! What would you write? P.S. I am on vacation in Aruba right now (post soon!) so a big shout out to my other half, Abby, for publishing this post!